Simply having a medical website sitting out there in cyberspace doesn’t guarantee patients. Your website is the customers first impression about your practice and if they cannot even find the website, the issue lies here. Fortunately there is something you can do to generate more traffic: it’s called search engine optimization, or SEO. First, What is Search Engine Optimization (SEO)? SEO is a actually fine-tuning your website to better reach your target customers. SEO optimization will greatly improve your website’s rankings in the major search engines (Google, Yahoo and Bing) using the search terms your customers are entering to find a practice such as yours. 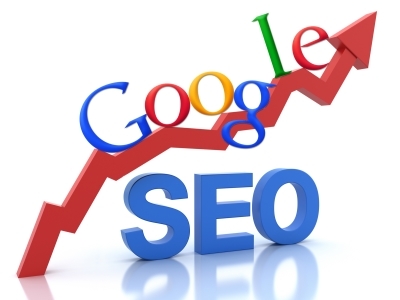 Therefore, not only does SEO optimization generate more traffic, it generates qualified traffic. However, just being listed in the search engines is not enough. It is a fact that very few customers will explore beyond the first three pages in search engine results, and many don’t even make it that far. If your website is not among the top 30 results (first three pages) in each of your determined search terms, your customers will be going to your competitor who is. Every day you delay implementing your own search engine optimization campaign is another day of significant dollars lost. You suffer the same effects if your website is down all day as if it is poorly optimized. Both instances mean a loss in customers and revenue. No matter where your practice is located or where your website is hosted, Website Physician, known throughout the medical community as "THE SEO Experts", will raise your website from obscurity to the forefront. Furthermore, we abide by the search engine optimization guidelines set by Google, Yahoo and MSN and we guarantee Spam-free SEO optimization for your website. Many SEO and web consulting firms using spamming techniques can actually get your website banned from the search engines! Undoing this process is severely damaging and can take years to be fixed. Our SEO optimization, in contrast, employs rigorous technical procedures and takes advantage of every ethical opportunity available to attract customers to your site. How will I see the difference in how my site ranks? Don't be fooled by supposed bargain search engine optimization services. Website Physician completes this service daily for practices across the United States. A bi-monthly report will be manually run and sent to your practice showing the change in how your website is positioned on search engines. With the search engines changing their criteria almost daily trying to provide better results and to prevent spamming of the search engine, the Website Physician team evaluates the website report and makes necessary changes based on the results to continually improve the website placement. A truly effective SEO optimization campaign takes genuine time and effort from an experienced web consulting and SEO optimization firm. The Website Physician evaluation and reports will outline a meticulously mapped, step-by-step process to deliver higher search engine rankings, increase targeted web site traffic, along with a plan to gain more inquiries and increase customers to your practice. How long have you allowed your website to sit in cyberspace desperately waiting for visitor traffic? Weeks? Months? Maybe a year? It is typical for most website owners to try some different SEO options before they realize it is time to pull in a professional SEO optimization firm. Is this you? Every SEO optimization campaign is unique. Website Physician is ready to launch an effective search engine optimization campaign specifically designed for your website now. Are you ready to gain high rankings and more customers? Contact us by phone at 513-759-4932 or by clicking this link.